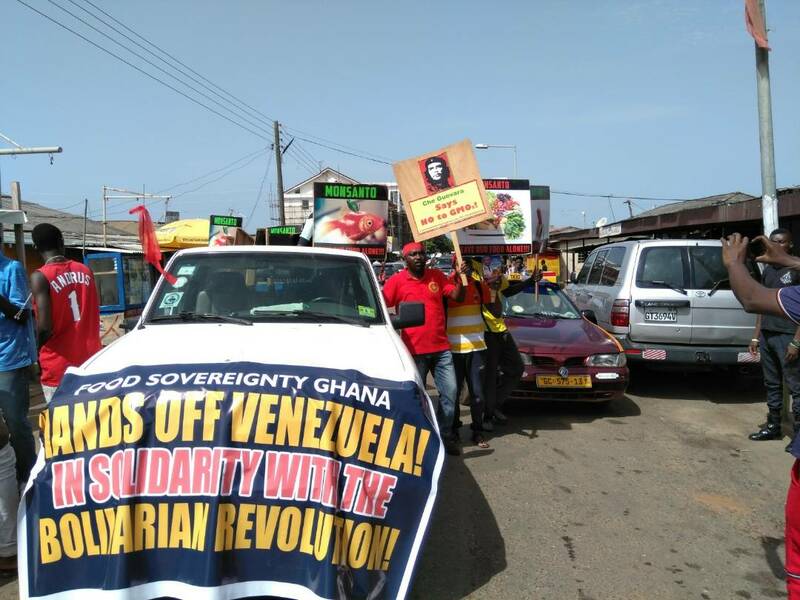 In Solidarity with the Bolivarian Revolution! Strongly express solidarity with the good people of the Bolivarian Republic of Venezuela who will be holding presidential elections tomorrow, Sunday May 20. Reject and condemn the defamatory campaigns, threats of economic sanctions, and even of a possible military intervention by the United States in the lead up to the elections. Reaffirm the conviction that the Presidential elections in Venezuela tomorrow, and the candidacy of Nicolas Maduro for the Frente Amplio de la Patria, (the Broad Front of the Homeland) represent one of the most important resistance struggles against imperialism in the world today. Call for international solidarity with the people of the Bolivarian Republic of Venezuela and their right to freely decide their own future, in peace and against imperialist violence and aggressive propaganda from the mainstream media, as they vote tomorrow. This year’s international March Against Monsanto falls on Saturday, 19th May, 2018. 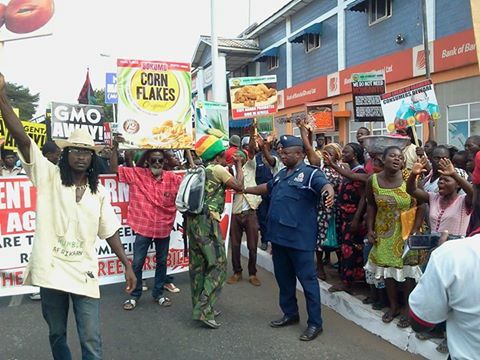 Food Sovereignty Ghana and March Against Monsanto – Accra, have the pleasure to invite you to a march through some of the principal streets of Accra to highlight our desire for public awareness and participation in decisions regarding biotechnology in agriculture. We strongly believe that such decisions must not be left in the hands of multi-national corporations and their local enablers using their GMOs, pesticides, herbicides, and seed monopoly lobby to influence the outcome of government policy. We shall be assembling at Sergeant Adjetey bus stop near Artistes Alliance (La). The march begins at 7.30am. 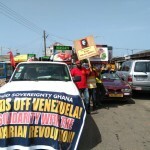 The route of the march, as notified to the police, is as follows: Starting point: Sergeant Adjetey bus stop, marching progresses through La Taxi rank – La market – Note: Education for community – Nyo Tsaana Road/La Kpanaa Road – Agus Road – New Life Road/Aklowa House Road – Kpogas Junction/Trade Fair Junction – End point: Trade Fair car parking area (Presidential Drive Way). March Against Monsanto, is an international grassroots movement against Monsanto Corporation, in protest at the company’s practices of using their affluence to influence the outcome of legislation, regulations, research findings, media narratives, etc. The movement was founded by Tami Canal in response to the failure of California’s Proposition 37, a ballot initiative which would have required labelling of food products made from GMOs. Monsanto was reported to have poured in $7,100,500 to help narrowly defeat California’s *Proposition 37. Advocates therefore support mandatory labelling laws for food made from GMOs. We in Ghana however support the call for labelling but since GMOs are yet to be cultivated in Ghana, we go beyond the call for labelling in demanding an indefinite moratorium on or a ban on all GM foods in Ghana! We take note of the debate going on at the Food and Drugs Administration (FDA) Ghana, to introduce voluntary labelling rather than mandatory labelling of GMOs, and reiterate our demand for mandatory labelling of everything GMO in the food chain of Ghanaians. We still seem to live in a situation where our courts say there is a law, but that law appears nowhere to be found! We are marching because even after overwhelmingly exposing the UPOV-compliant Plant Breeders’ Bill, (PBB), as too rigid, unsuitable, and illegitimate, there are still forces ignoring our call for a “sui generis’ plant protection system as required by the World Trade Organisation (WTO) to protect the intellectual property of plant breeders. These unpatriotic forces are still calling for the passage of the ill-structured Plant Breeders’ Bill without any changes! West. 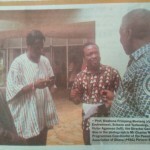 In April, he toured Brong Ahafo and he is currently in the Ashanti region. He is expected to arrive in Accra by the end of June. 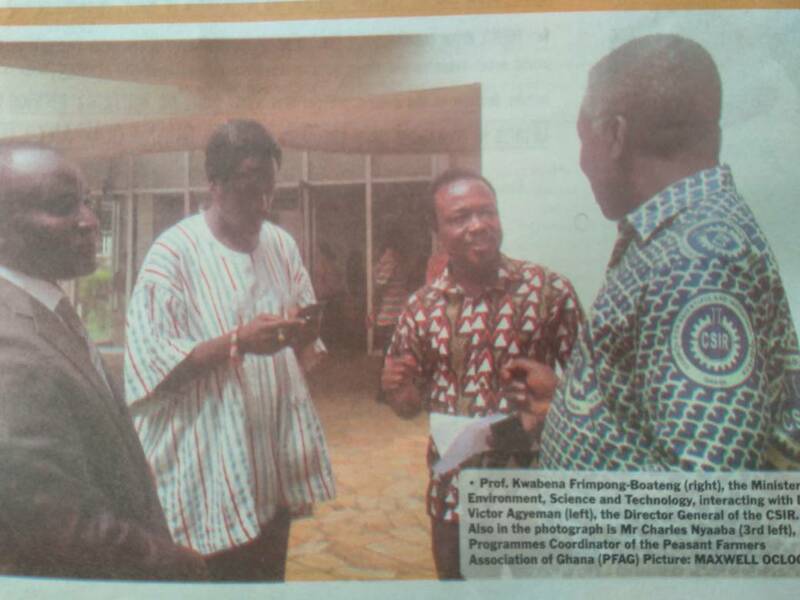 Richard, a free-lance researcher on Human Behaviour continues to engage a wide spectrum of Ghanaian citizens, in championing and advocating for unity and progress for our nation, through this Educational Awareness Walk dubbed the Visitation Walk. The sole intention is to walk through the whole of Ghana to raise a high awareness on important agricultural issues which have not received much attention on the national agenda. In this effort he has collaborated with Food Sovereignty Ghana (FSG) who have been at the forefront of defending Ghana and her food and agricultural systems against the introduction of Genetically Modified Organisms (GMO). We are also marching to celebrate the victories we have chalked in our advocacy in the course of the year. The most notable being the systematic defeat of the pro-GMO lobby in all debate encounters with them. We are marching because the passionate support from an overwhelming number of Ghanaians from various backgrounds tells us that history is on our side, and agroecology, not biotechnology, is the way forward! Please, join us on Saturday May 19th to March Against Monsanto and Bayer, as we call for sustainable policy-making in our Agriculture! 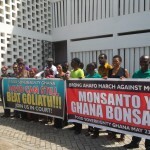 The Accra Human Rights High Court hearing the suit against the commercialisation of GMOs has ruled that the parties go for the determination of the motion to stay proceedings at the Court of Appeal on Wednesday, 28th March. 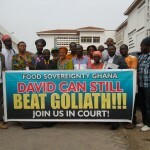 The case, Food Sovereignty Ghana & 3 ors Vs National Biosafety Committee & 4 ors, Suit No. HRCM 43/15 was called on Monday March 19, 2018. This was meant to continue with proceedings in the case originally brought before it on November 23, 2017. However, after the acknowledgement and presence of all legal representatives of the relevant parties in the case, the counsel for the fifth defendants, the Ghana National Association of Farmers & Fisherfolk (GNAFF), Maame Sarpong who stood in for Bright Okyere Adjekum informed the court that they had filed a motion of stay of proceedings in the High Court pending an appeal that has been made by FSG on an earlier dismissal of an injunction sought on the release of genetically modified cowpeas and rice onto the Ghanaian market. Their lawyers present that the ruling that dismissed the injunction in 2015 has determined the matter. On March 28th all parties are to appear in the Court of Appeal to hear the motion to stay proceeding at the High Court. The court further ordered all parties to return to the Human Rights High Court on April 13th at 11 am. 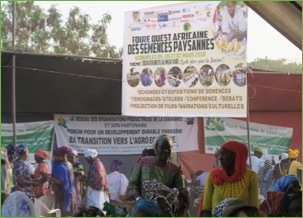 Final Declaration of the 6th edition of the West African Peasant Seed Fair. 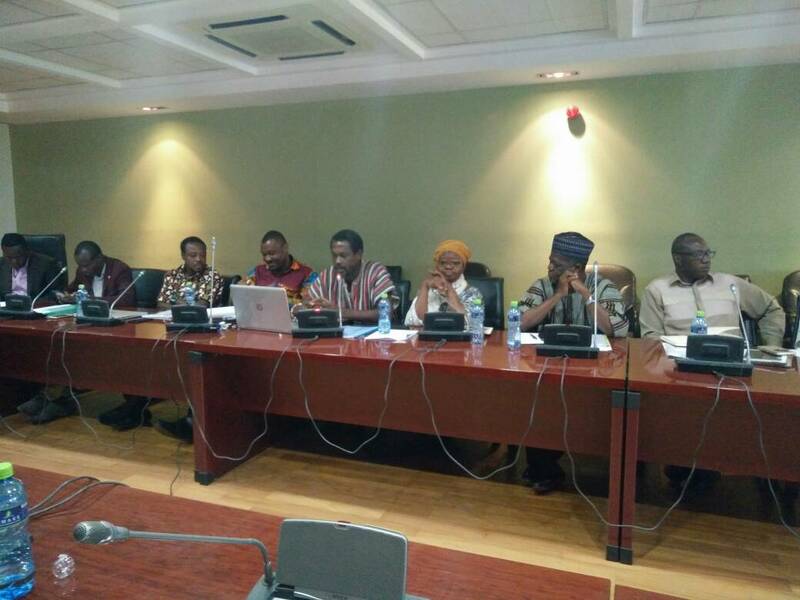 Parliament Meets With CSO/FBOs Over PBB, GMOs, and Post Harvest LossRepresentatives from various civil society organisations have re-iterated their call for a revision of the “UPOV-compliant” Plant Breeders Bill. 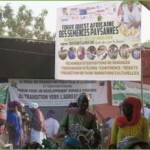 They called for a “sui generis” plant variety protection system as demanded under the WTO TRIPS Agreement. 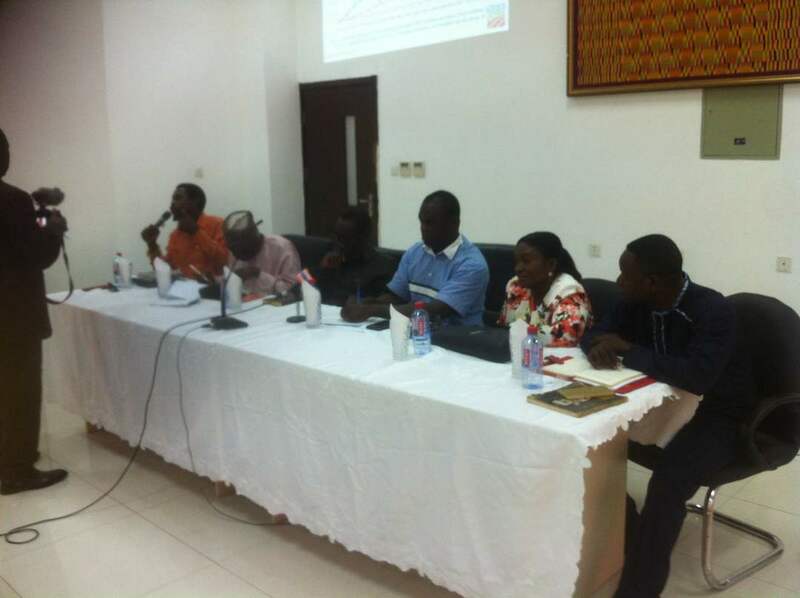 The representatives included Food Sovereignty Ghana (FSG), Peasant Farmers Association of Ghana (PFAG), General Agricultural Workers Union – GAWU of TUC Ghana, Centre for Indigenous Knowledge and Organisational Development (CIKOD), and SNV Netherlands Development Organisation. According to Ms. Victoria Adongo, Executive Director of PFAG, “we had a fruitful engagement with members of Food, Agriculture and Cocoa Affairs and Environment, Science and Technology Committees of parliament to discuss food security issues bothering on Post Harvest Losses, Plant Breeders Bill and Genetically Modified Organisms (GMOs)”. The hearing offered the opportunity for the CSOs to restate their case against GMOs and to dispel the misinformation that followed the petitions. Mr. Edwin Kweku Andoh Baffour, Director of Communications of FSG, took the MPs through the UPOV Convention, The WTO TRIPPS Agreement. In addressing them, he was clear on the need for the Select Committee to address the original issues raised by the coalition four years ago, citing clause 23 and 58 as examples of the inappropriate nature of the proposed bill and urged Parliament to ensure that the interest of Ghana’s farmers and her bio diversity were not compromised in the bill. Mr. Andoh Baffour also reminded the lawmakers to ensure that any loopholes in the proposed bill that may facilitate biopiracy of Ghana’s national flora and fauna should be addressed. To this end he called for a mandatory need to declare the source of the genetic materials used in the research work as is best practice worldwide. Mr. Baffour used the opportunity to remind the august body that there was no mention of Genetically Modified Organisms (GMO) in the entire issues raised by the coalition and asked all stakeholders to cease the pander to the deliberately created perception that the opposition to the bill was based on GMO. In response to the concerns raised by the coalition the Chairperson of the Committee Hon. Kyeremanteng Agyarko who is also the MP for Ayawaso West Wuogon, assured the meeting that the relevant areas of concern raised had been acknowledged and would be given the necessary attention. He expressed regret that the issues raised had taken so long to resolve however reminded members that a new parliament had been sworn in since the last consultations and assured all stakeholders involved the opportunity to continue to contribute constructively in the collective interest of Ghana. We are most grateful for the opportunity granted us to humbly present to you our views on the UPOV-compliant Plant Breeders’ Bill, (2013). The WTO agreement clearly states that contracting parties have a right to develop their own sui generis plant variety protection (pvp) laws. Even though this is acknowledged in the memorandum to the Plant Breeders’ Bill, it proceeds to opt for the International Convention for the Protection of New Varieties of Plants (UPOV 1991) without any explanation, as to why the government made such a choice. It provides no evidence, or impact assessments of the necessity for adopting such a regime. “Clause 1 of the Bill defines the scope of application of the Bill. Ghana has opted to apply the requirement for compliance with the International Convention for the Protection of New Varieties of Plants of December 2, 1961 and subsequently revised on November 10th, 1972, on 23rd October, 1978 and on 19th March, 1991″. Meanwhile several prominent Ghanaian experts in the field have dared to raise their voices against the passage of the UPOV-compliant Bill such as the critique by Nana S. K. B. Asante. As eloquently expressed by a study by the German Government on the UPOV Convention, Farmers’ Rights and Human Rights – An integrated assessment of potentially conflicting legal frameworks: it calls for the harmonising of the goals and obligations from different treaties while implementing PVP law. Under the WTO TRIPS Agreement, Article 27.3(b) of the TRIPS Agreement, gives Ghana the right to provide protection of plant varieties by an “effective sui generis” system. (Sui generis means a “unique” system of protection). This provision allows Ghana maximum flexibility in the design of plant variety protection. UPOV 1991, on the other hand, is a rigid and an inflexible regime for plant variety protection. The only reason given for the withdrawal of the Plant Breeders’ Bill, which was at the Consideration Stage was, in the words of the former Speaker of the House, “because it is important to inform the people of Ghana”. It therefore behoves Parliament, in the interest of transparency, especially given the controversy surrounding the Plant Breeders’ Bill, to publish a cogent report on the consultations over the Plant Breeders’ Bill, detailing the petitions, the basis of opposition to the Bill, and generally provide a public account before any decision to proceed with the Bill in its current form. We would also like to see in the report, what justification, if any, lies behind the inclusion of Clause 23 in the Plant Breeders’ Bill which makes the rights of the plant breeder independent of the laws of Ghana. Even as citizens, our rights are subject to the laws of Ghana, not independent of it. Another pertinent issue raised in the petitions is the call for fair and equitable sharing of benefits arising from the utilization of Ghana’s genetic resources. We urgently need answers from Parliament why there is no provision in the Bill requiring the disclosure of origin. This provision is critical for combating biopiracy of our genetic resources. “Ghana can protect plant breeder rights without necessarily opting for UPOV 91. The Bill is modelled on the International Convention for the Protection of New Varieties of Plants of 1991 (UPOV 1991) which is a rigid and an inflexible regime for plant variety protection (PVP). It is worth noting that today out of the 71 UPOV members, only a fraction – about 22 developing countries are members of UPOV. Most of these developing countries (e.g. Brazil, China, Argentina, South Africa) and even some developed countries (e.g. Norway) are not members of UPOV 1991 but rather UPOV 1978, which is a far more flexible regime”. 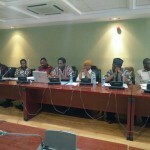 The title of their petition declared, “Ghana’s Plant Breeders’ Bill Lacks Legitimacy! It Must Be Revised!” We are in full agreement with this request, and pray on you to heed the call. Parliament House, Accra, 27th February, 2018. Anywaa Survival Organisation, Ethiopian Anuak Development Foundation and Anuak Community Association in North America, with the strong support of international civil society and Anuak community leaders worldwide, call on the governments of Ethiopia and India to cease negotiations with Karuturi Global Ltd and to ensure that the company fully exits Gambela and other parts of Ethiopia. The governments of both these countries must hold the company accountable for the destruction to local peoples’ livelihoods, environment, bio-diversity and eco-system. We stress the importance of land and environment to indigenous peoples as sources of livelihoods, food security and sovereignty, providing farming, grazing, fishing, hunting and traditional medicines.